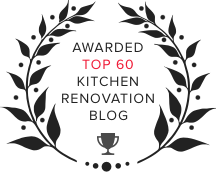 There is no lack of terminology or lingo when it comes to kitchen remodeling. Unfortunately, there are so many remodeling terms that are used interchangeably - when they aren't interchangeable at all. One example of this is the use of modern and contemporary - which are actually two different things. Another example is all the variations of the terms "built-in" or "integrated" appliances. What is the difference between built-in, partially- and fully-integrated appliances? Here are some of the differences between these phrases. Your design and build firm can also help you to figure out the fine lines, and determine which makes the most sense for your kitchen and your remodeling budget. Built in appliances are typically recessed all the way back into the cabinetry so they sit flush with the panels. We say, "almost" because in just about every case, the door of a built-in refrigerator or dishwasher will still protrude just a bit. Whether or not you choose to panel the exterior to match surrounding cabinetry is your choice. A partially-integrated appliance is a built-in appliance with matching cabinet panels on the surface, so the overall look is more consistent. If it's a fridge, you can probably still see the vent or the metal door frames. If it's a dishwasher, you may still see the control panels - but these are all nicely tucked into a cabinet-style camouflage panel. This is a cost-effective solution for homeowners who like the idea of fully-integrated appliances but don't want the added expense. A high-quality install will give you almost exactly what you're looking for - or not looking for, as the case may be. If your appliances are fully-integrated, they don't stand out much at all. 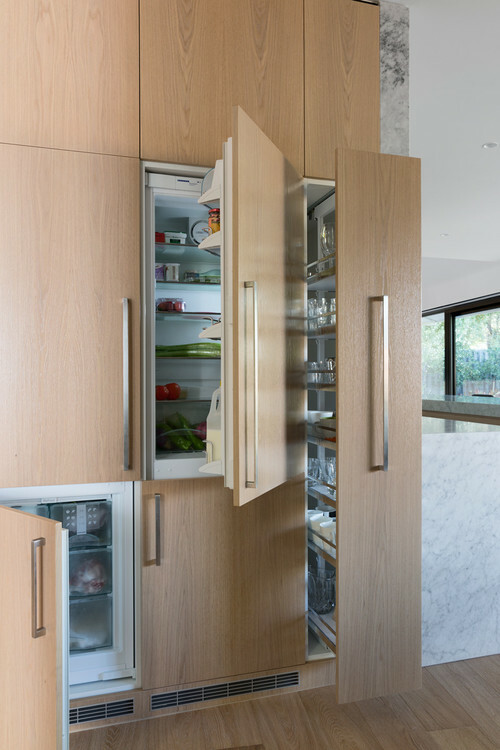 Other than what looks like a larger-than-normal cabinet pull to open the fridge door, these appliances are completely hidden - including vents, metal trim, hinges, mechanical controls, and toe kicks. This option is popular for homeowners with open floor plans. Of course, not surprisingly, you'll pay for all that invisibility. Also worth noting, fully-integrated appliances may mean slightly smaller appliances since standard depth is sacrificed for flush aesthetics. Fully-integrated appliances will add a notable chunk on to the final kitchen remodeling price tag..
Fully-integrated appliances can be more difficult to maintain and repair when compared with their partially integrated counterparts. Since much of their accessible parts wind up hidden in the cabinetry's interiors, maintenance, parts replacement and general repairs may come with a higher labor price tag because the total repair requires more labor time. One thing to consider - in some cases, the cabinet depth around the refrigerator can be adjusted so you get the benefit of a standard-sized refrigerator with a more integrated look. This may be the happy medium; you'll spend slightly extra on those cabinet boxes, but it's still less than you'd pay for fully-integrated appliances. Another thing we'd like to point out - there are advantages and disadvantages to the "streamlined" idea. Sometimes, it can be boring. One of the reasons that glass cabinet doors and open shelving options are popular is because they help to break up the visual monotony of matching cabinet doors. 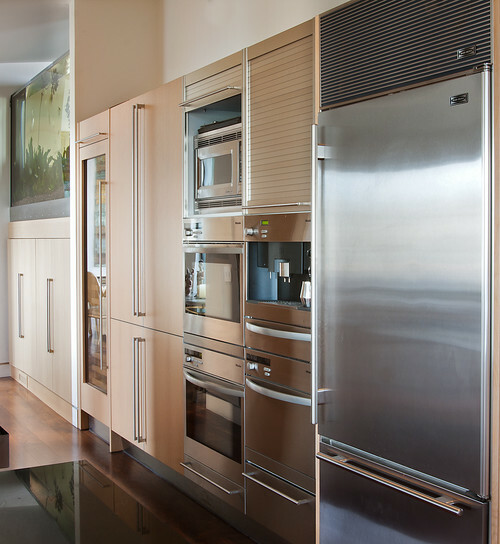 Some our our clients choose to integrate some appliances while leaving others exposed to maintain visual interest. 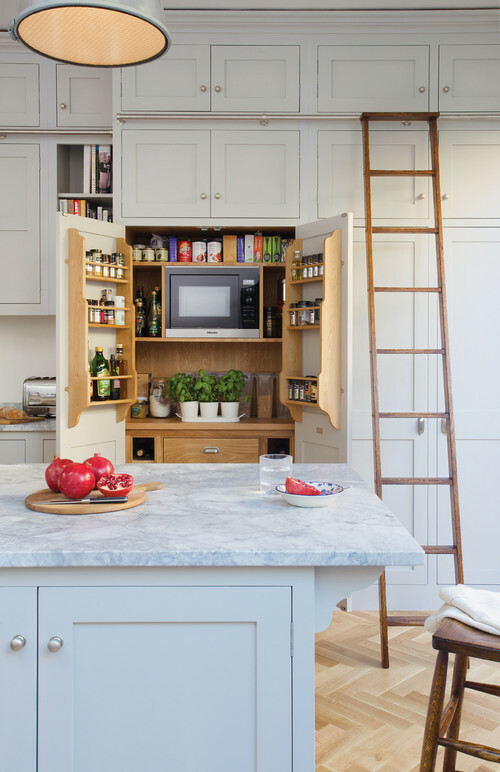 Or, you may want to mix-and-match cabinet and countertop finishes in order to reclaim some of the visual interest that is lost when you hide the appliance faces. Would you like some real, visual examples of what partially- and fully-integrated appliances look like? 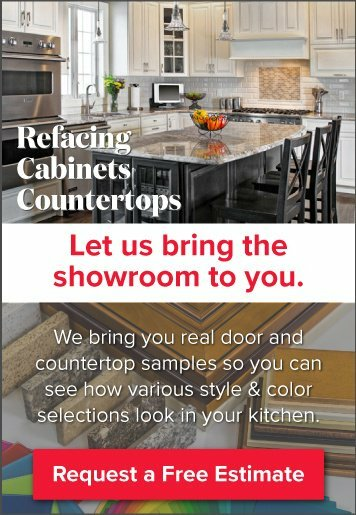 Visit the Kitchen Magic showroom and we'll show you photos from our ample gallery.